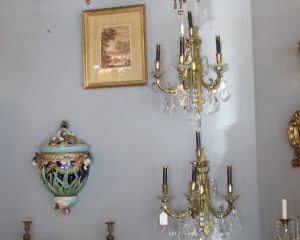 Take a look at some of our latest acquisitions. Short summaries of what we do. 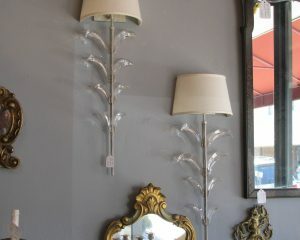 Summerhill has been specializing in lighting since 1995. 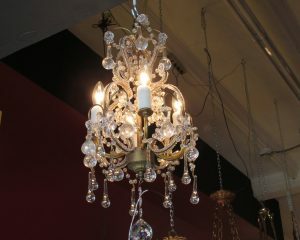 We carry a huge selection of antique chandeliers, sconces, table and floor lamps. 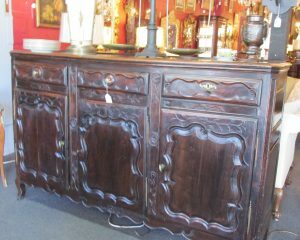 There are exquisite elements in bench-made antique furniture, the thoughtful proportions, the selection of hardwoods, the decorative elements imagined and executed by master craftsmen. 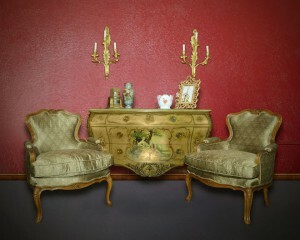 Every great room needs a variety of elements to create that powerful impression. 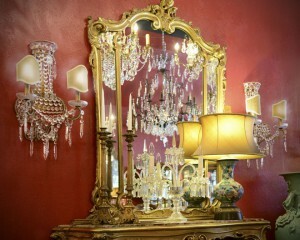 We believe the impact of a fabulous antique mirror cannot be equaled. Summerhill has been providing interior design services as a direct result of client requests. 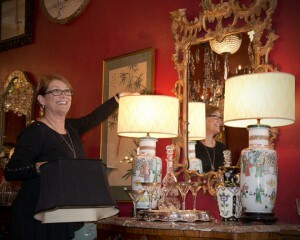 We think almost everyone could benefit from some sage advice delivered by a knowledgeable designer. 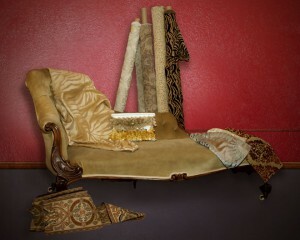 Summerhill has been offering upholstery services for over 15 years. Not only do we reupholster our own vintage chairs, settees, sofas and room screens we also reupholster the furniture of our clients. Developing a style and structuring your life around that style is one of the pleasures of ownership, be it a business or a home. Summerhill has always been in a state of evolution. 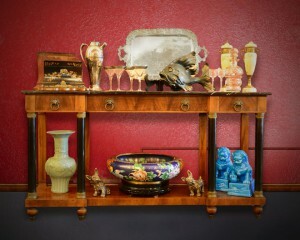 Items of interest to antique aficionados. 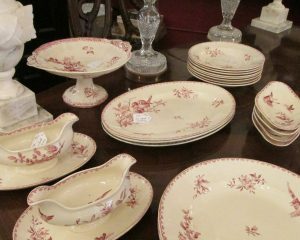 Located in the historic downtown Orange Plaza in Southern California, Summerhill Antiques and Design has been providing quality antiques and vintage furnishings for 20 years. 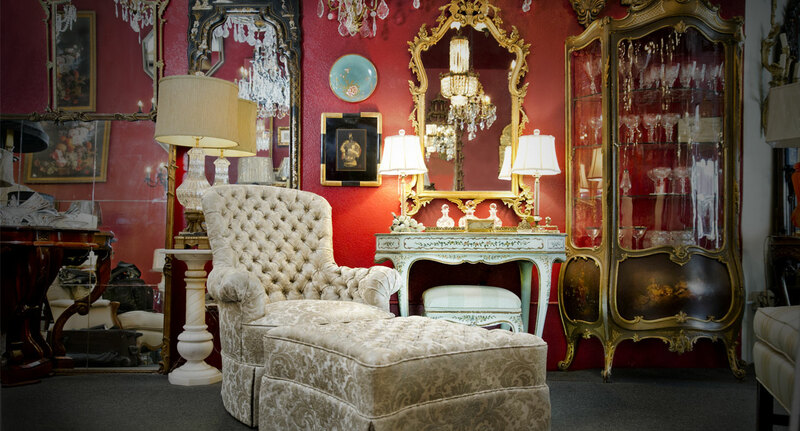 Our specialties include antique chandeliers, sconces, table and floor lamps, mirrors, French, English and American furniture and a fabulous collection of accents. We strive to bring each piece up to its best condition, repurposed for use in our modern world. 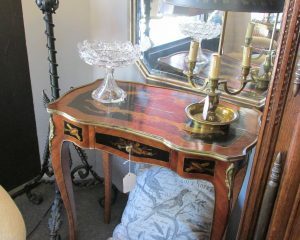 We want to be your source for vintage furniture and antiques in Orange. 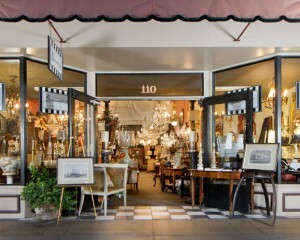 You can reach us at (714) 771-7782 or shop@summerhillantiques.com.